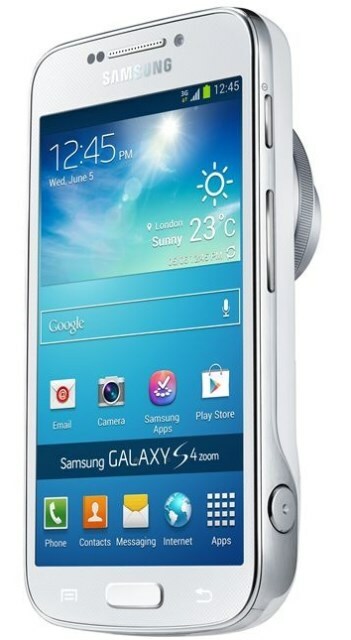 Samsung just announced a new camera focused phone; the Galaxy S4 Zoom. The device is basically a Galaxy S4 Mini with a 16 megapixel digicam, 10x optical zoom and xeon flash. It features a 4.3" qHD AMOLED screen, a 1.5GHz dual-core processor, 1.5GB RAM, 8GB internal flash storage, microSD, 802.11n WiFi, Bluetooth 4.0, and a 1.9MP front camera. The phone will be launched in Europe this summer for 549EUR. "The Samsung GALAXY S4 zoom represents yet another step forward in the way Samsung is working to enhance the lives of our customers around the world," said JK Shin, President and CEO, Head of IT & Mobile Communications Division, Samsung Electronics. "As communication continues to become increasingly visual in nature, people wish to capture and share their moments in the highest quality possible, but often do not have the space or inclination to carry a dedicated camera for this purpose. 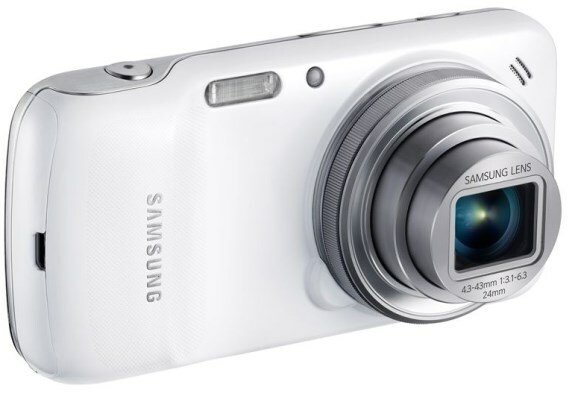 The GALAXY S4 zoom changes this forever, combining the industry leading functionality and connectivity of the GALAXY S4 with the high quality photographic experience you'd expect from a compact camera. The result is truly the best of both worlds, without compromise." Do it all and miss nothing thanks to the revolutionary new Zoom Ring, a simple and intuitive way to access the GALAXY S4 zoom's key features. When you're in the middle of a phone call and you see something you absolutely have to share, a quick twist of the Zoom Ring will activate the In-Call Photo Share feature, letting you capture and send an image directly via MMS to whoever you are talking to simply. When it comes to high quality photography, bigger isn't always better. The compact GALAXY S4 zoom's best-in-class 10x Optical Zoom and 16MP BSI CMOS Sensor lets you capture beautiful images from far away or up close and personal, in all light conditions, without having to carry heavy camera gear around with you. Furthermore, the built-in Optical Image Stabilizer (OIS) helps keep the camera perfectly still even when you're not, reducing blur and stabilizing the image while zoomed in for high-quality photos and video. The GALAXY S4 zoom also features Samsung's popular Smart Mode, so you can stop worrying about settings and start taking professional-quality artistic shots. Simply choose from a series of pre-set modes and the camera will automatically adjust to ensure you capture the best photo possible. Use Drama Shot to merge continuous shots of moving objects into a single composed image, or Action Freeze to instantly capture high-speed action. If you aren't sure which Smart Mode to select, the Smart Mode Suggest feature can assess the scene for you and provide a short list of the best options for your consideration based on surrounding factors such as light levels, focal length, or face detection, ensuring you always get the best shot you want. When you return from your travel adventures, Story Album lets you arrange all of your treasured images and videos into one timeline to share with friends and loved ones. You can also edit images and even order prints directly from the device through a partnership withblurb?. If you'd rather transfer your images to your laptop or tablet for safe keeping, Samsung Link lets you do so quickly and easily with just the touch of a button. Alternatively, you can sync all of your data in your own personal cloud through HomeSync, providing the ultimate peace of mind and ensuring your images and videos are waiting for you whenever you need them. The GALAXY S4 zoom features the new Samsung Hub, a one-stop destination for all of the latest music, videos, books and games. Search, download and enjoy all of your favorite entertainment at the touch of a button, all directly from your device. When you find that amazing new track or game that you can't wait to share with your friends, Group Play lets you connect directly with their Samsung devices so you can all listen and play together, without the need for a Wi-Fi AP or cellular signal.